One of the foremost & outstanding University in Africa. University of Lagos, Nigeria. (a.k.a) UNILAG, once had a yearly program tagged Unilag Carnival under the Creative Arts Department, in which it has different countries represented by group of Students, with an artiste representing each team. The Blow Money Records frontline act “Realzy”, was invited to represent the team BRAZIL. Realzy & the Label in-house producer “Hanno” recorded a dope tune titled UNILAG to support the team Brazil campaign as their team song, which made the Team Brazil emerge as the winner of the competition in the UNILAG Carnival. Video was released & accepted massively which is still receiving massive airplay. 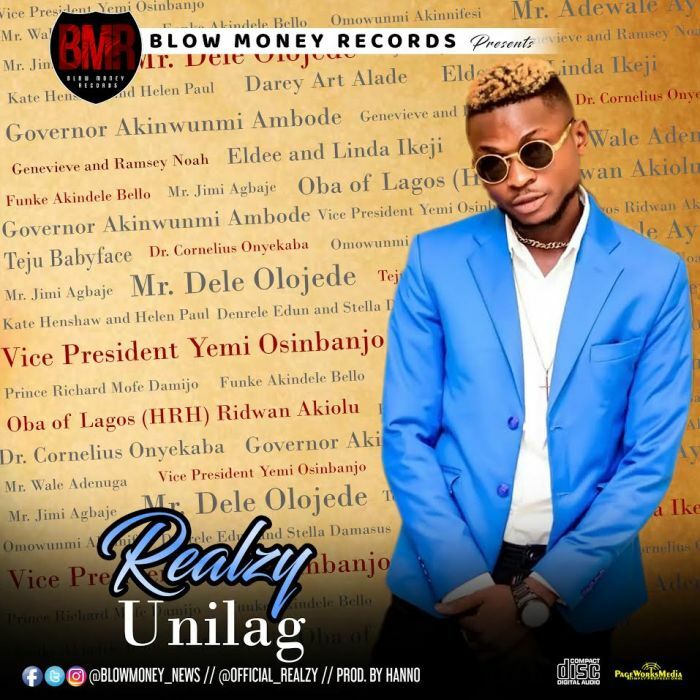 The song UNILAG was recorded in Blow Money Records Music House, mixed & mastered by Hanno.